September 2010. 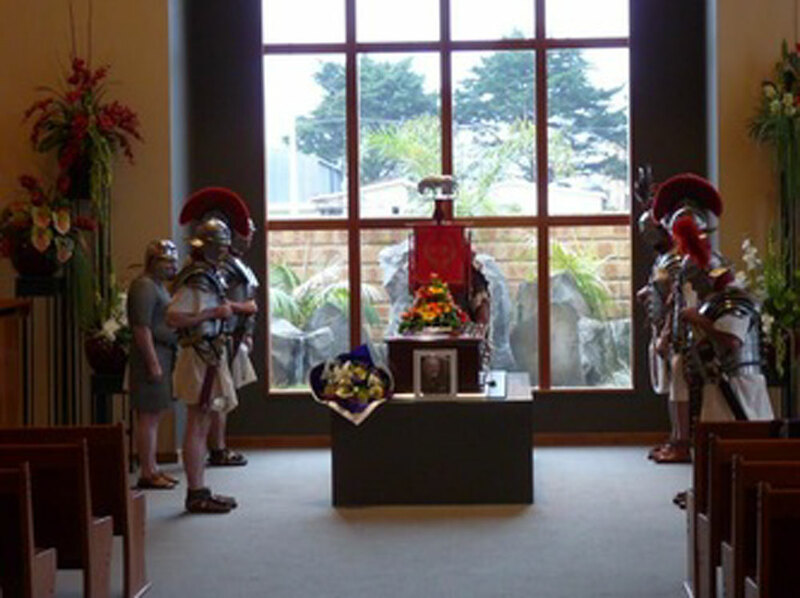 The Roman Honour Guard at Dave Ormsby-Green's Funeral. The Contubernium stands with standard lowered. Dave was a much-loved founder member of Imperium-Romana and remembered with affection. The Honour Guards were: Peter Rogers; Martin Layzell, John Nagles, John Maine, Jason Saunders, Vic Rosendale & Hans-Dieter Bader. 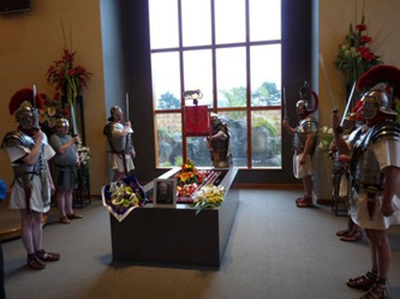 The FINAL SALUTE as Dave's coffin is lowered.